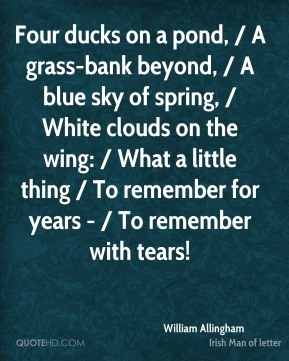 Four ducks on a pond, / A grass-bank beyond, / A blue sky of spring, / White clouds on the wing: / What a little thing / To remember for years - / To remember with tears! 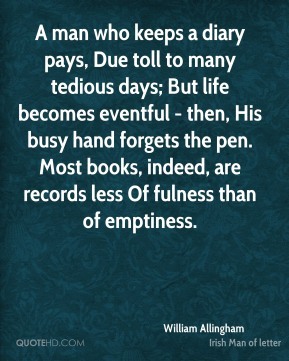 A man who keeps a diary pays, Due toll to many tedious days; But life becomes eventful - then, His busy hand forgets the pen. Most books, indeed, are records less Of fulness than of emptiness. And in a chair well-known My mother sat, and did not tire With reading all alone. 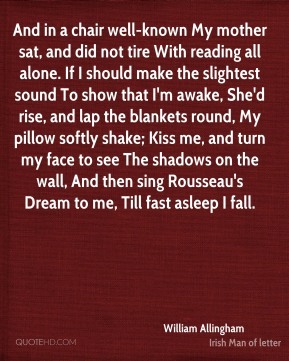 If I should make the slightest sound To show that I'm awake, She'd rise, and lap the blankets round, My pillow softly shake; Kiss me, and turn my face to see The shadows on the wall, And then sing Rousseau's Dream to me, Till fast asleep I fall. 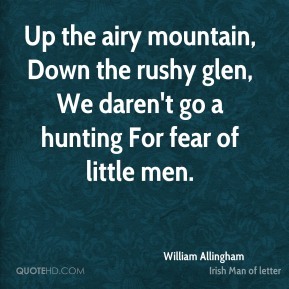 Up the airy mountain, Down the rushy glen, We daren't go a hunting For fear of little men. 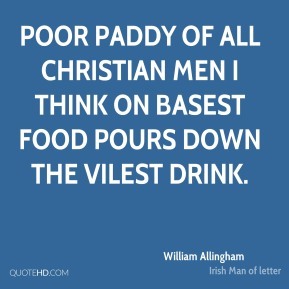 Poor Paddy of all Christian men I think On basest food pours down the vilest drink. 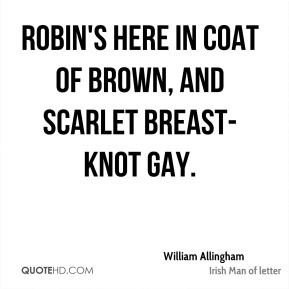 Robin's here in coat of brown, And scarlet breast-knot gay. 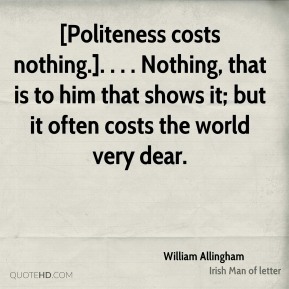 [Politeness costs nothing.]. . . . 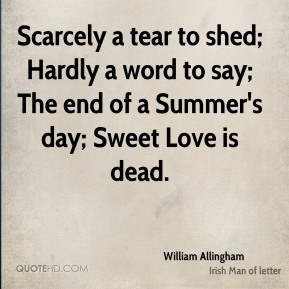 Nothing, that is to him that shows it; but it often costs the world very dear.